Hygge is a weird-looking word, but it’s a home design sensation that could help you sell your home this winter. Coming from Denmark, hygge is pronounced ‘hyoo-gah’, and it basically means creating an atmosphere of coziness and relaxation with your interior design and décor – but more than that, it’s about creating a feeling of wellbeing, warmth and welcome in your home. Here are a few ideas about how to get that hygge feeling this winter. One of the important things about hygge is that it’s social, and that’s why it’s great for preparing your home for sale. It’s not just about quiet and cozy nights in, it’s about sharing that, and making your home a place that welcomes everyone who walks in. Some examples of hygge would be sipping a warm cup of tea under a warm orange lamp on a rainy day, or a delicious warming lunch shared with your favorite people in the middle of winter. In a home, you might say that hygge means ‘the snug you share’. If your home is hygge, it basically leaves you feeling content and well-cared for. How Can You Make Your Home Hygge? If you’re showing people around your home, hygge can be a great selling point. Here are a few ways to get that hygge feeling. Light a few tealights, or use uplighters and lamps, to give a warm and lived-in feel to the place. Create a snug corner seat in your living room to show how easy it is to relax in your home. Eliminate clutter and introduce essential hygge elements, like warm throws and blankets. If you have a fireplace, get a fire going, especially during the colder months. Use fragrance, or even incense sticks, to introduce some fall and winter scents to your home – think pumpkin spice, cinnamon, or sandalwood. Think about cooking or baking before you show people round: the smell of cookies is very hygge. How Can Hygge Help You Sell Your Home? A Hygge Home Is Appealing. 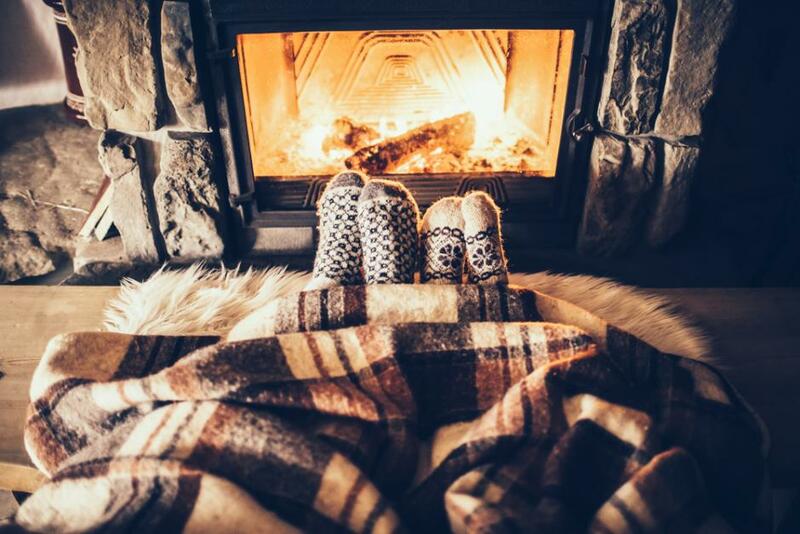 Getting a hygge feeling in your home before selling it will make it feel more welcoming, and will get people to that ‘fall-in-love’ stage quicker. Hygge is Cozier. Hygge homes make it easy for people to imagine being at home in your house, giving them an insight into the kind of lifestyle that the house could give them. A Hygge Interior Increases The Value Of A House – if you’re renovating, you can add bigger additions that can make your home feel hygge. Making a fireplace or adding a bathtub to the bathroom, increases the resale value of a home significantly. Hygge not only makes it nicer to live in a house, it makes it easier to sell your home if that’s what you want to do. Hygge has been helping the Danes for decades to live warm lives in warm communities: might it be for you as you sell your home?